People with chronic illnesses were only slightly more likely than healthy individuals to put their wishes down on paper in a living will. “I thought, ‘Wow, this is mortality right in your face,'” Morrison, now 70, recalls. After that, his attention was keenly focused on how things might end badly. Morrison asked his lawyer to draw up an advance directive to describe what medical care he wanted if he were unable to make his own decisions. One document, typically called a living will, spells out Morrison’s preferences for life-sustaining medical treatment, such as ventilators and feeding tubes. The other, called a health care proxy or health care power of attorney, names a friend to make treatment decisions for him if he were to become incapacitated. Not everyone is so motivated to tackle these issues. Even though advance directives have been promoted by health professionals for nearly 50 years, only about a third of U.S. adults have them, according to a recent study. People with chronic illnesses were only slightly more likely than healthy individuals to put their wishes down on paper. For the analysis, published in the July issue of Health Affairs, researchers reviewed 150 studies published between 2011 and 2016 that looked at the proportion of adults who completed advance directives. Of nearly 800,000 people, 37 percent completed some kind of advance directive. Of those, 29 percent completed living wills, 33 percent filed health care proxies and 32 percent remained “undefined,” meaning the type of advance directive wasn’t specified or was combined. People older than age 65 were significantly more likely to complete any type of advance directive than younger ones — 46 percent of older people, versus 32 percent of those who were younger. But the difference between people who were healthy and those who were sick when they filled out the directive was much smaller — 33 percent compared with 38 percent. To encourage more physicians to help people to plan for their care, the Medicare program began reimbursing them in January 2016 for counseling beneficiaries about advance-care planning. This study doesn’t incorporate data from those changes. But it can serve as a benchmark to gauge improvement, says Dr. Katherine Courtright, an instructor of medicine in pulmonary and critical care at the University of Pennsylvania. She is the study’s senior author. Living wills also don’t account for the fact that people’s wishes may change over time, says Dr. Diane Meier, a geriatrician and the director of the New York-based Center to Advance Palliative Care. “In some ways, the public’s lack of excitement about this is related to the reality that it’s very hard to make decisions about the kind of care you want in the future when you don’t know what that will be like,” she says. Sometimes as patients age and develop medical problems, they’re more willing to undergo treatments they might have rejected when they were younger and healthier, Meier says. “People generally want to live as well as they can for as long as they can,” she says. If that means going on a ventilator for a few days in order to get over a bout of pneumonia, for example, many may want to do that. But if their living will says they don’t want to be put on a ventilator, medical staff may feel bound to honor their wishes. Or not. Although living wills are legal documents, medical staff and family members or loved ones can reinterpret them. “At the moment, I’m very healthy,” Morrison says. If he were to become ill or have a serious accident, he’d want to weigh life-saving interventions against the quality of life he could expect afterwards. “If it were an end-of-life scenario, I don’t want to resuscitated,” he says. If someone’s wishes change, the documents can be changed. 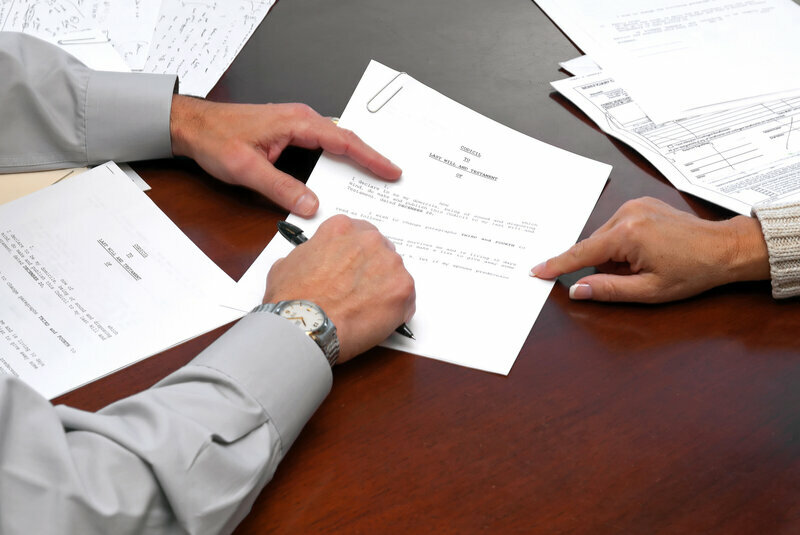 There’s no need to involve a lawyer in creating or revising advance directives, but they generally must be witnessed and may have to be notarized. While living wills can be tricky, experts strongly recommend that people at least appoint a health care proxy. Some even suggest that naming someone for that role should be a routine task that’s part of applying for a driver’s license. That’s where the health care proxy can come in. But to be effective, though, people need to have conversations with their proxy and other loved ones about their values and what matters to them at the end of life. They may tell their health care proxy that they want to die at home, for example, or that being mobile or able to communicate with their family is very important, says Jon Radulovic, a vice president at the National Hospice and Palliative Care Organization. Some may opt to forgo painful interventions to extend their lives in favor of care that keeps them comfortable and maintains the best quality of life for the time that remains. “The most important thing is to have the conversation with the people that you love around the kitchen table and to have it early,” says Ellen Goodman, a Pulitzer Prize-winning writer who founded The Conversation Project, which provides tools to help people have conversations about end-of-life issues. Morrison says he’s talked with his health care proxy about his wishes. The conversation wasn’t difficult. Rather than spell out precisely what he wants done under what circumstances, Morrison is leaving most of the decisions to his health care proxy if he can’t make his own choices.